In some countries, electronic cigarettes are an alternative to smoking ordinary cigarettes. However, there are questions about the safety of electronic cigarettes. 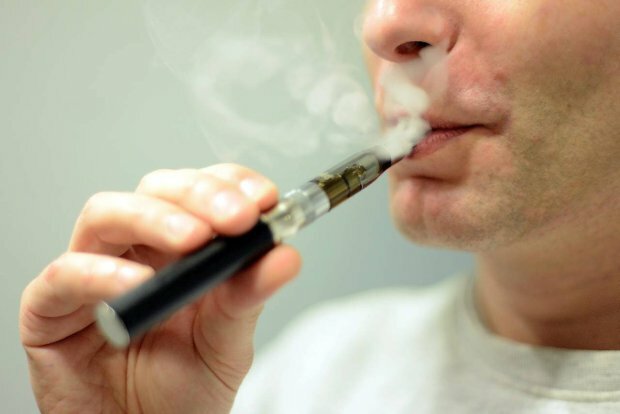 Are electronic cigarettes a healthy alternative? In today’s modern society many things have evolved and, cigarettes are no exception. The evolution of the cigarette from the long, narrow paper tube filled with tobacco to the modern e-cigarette can be seen as a “modern marvel” that is marketed almost as aggressively as cigarettes were in the 1950s. The difference is that the modern e cig liquid nicotine is being marketed as a healthy alternative to the standard cigarette since many studies have linked cigarettes to cancer, cardiovascular disease, COPD, oral diseases, premature aging and death. While many longitudinal studies conducted on e-cigarettes remain inconclusive, many people believe that e-cigarettes are healthier and more effective in aiding smokers in their journey to quit smoking, the fact of the matter still remains that smoking is both addictive and habit forming and can cause the body great harm. Given this, it is vital to explore the known pros and cons of electronic cigarettes. 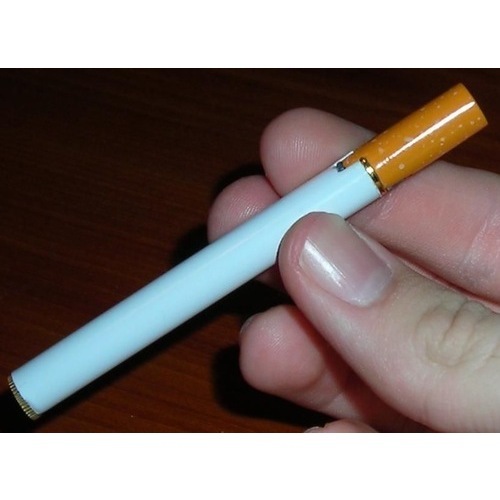 First developed in 1963 by Herbert A. Gilbert, the electronic cigarette was patented. Sadly, this device was far ahead of its time. Due to a lack of technology, along with the fact that smoking was widely accepted and, due to an absence of conclusive studies, was not considered to be unhealthy or dangerous, Gilbert’s electronic cigarette remained a mere concept until forty years later when, in 2003, Han Lik, a Chinese pharmacist and smoker, lost his father to lung cancer. As a means of being proactive, Lik set about to create what is now known as the modern day e-cigarette. So what exactly is an electronic cigarette and how does it work? In short, they are battery-powered vaporizers (some are as large as a pen and others the same size and shape as a cigarette) filled with liquid nicotine that is dissolved in a solution of water, vegetable glycerin and propylene glycol. Many times, a flavour additive is added to enhance the smoker’s experience. This is a stark contrast compared to regular cigarettes which contains over 600 known ingredients and can produce over 7000 chemicals when burned. With the press of a button or an inhale, the battery heats the coils within the atomizer which then heats up the liquid. A vapour is inhaled into the lungs and the sensation of smoking is created without really smoking. Some e-cigarette products are disposable whilst others can be refilled and the levels of liquids vs. the concentration of nicotine can be altered. According to Koch the sale of e-cigarettes has increased from 50,000 units in 2008 to over 5 million units in 2012. A recent study has revealed that 52% of smokers reported using electronic cigarettes and those numbers continue to rise. Though limited, a number of studies have revealed that there are numerous advantages to using electronic cigarettes. A 2014 survey conducted by the French Monitoring Centre for Drugs and Drug Addiction revealed that out of 2052 participants, all of whom were smokers, 67% contended that they used e-cigarettes as a method to reduce or quit smoking, and out of that number a further 84% credited e-cigarettes as their means of quitting tobacco use altogether. Similarly, a study conducted by Michael Siegel and published in the American Journal of Preventative Medicine noted that out of 222 participants 67% reported smoking less after using e-cigarettes for 6 months and a further 31% reported quitting entirely. In addition to this, one must consider the fact that the ingredients used in e-cigarettes are all FDA approved and the fact that there is no smoke inhalation or emission means that it is a healthier alternative to traditional cigarettes since it eliminates second hand smoke, carbon emissions, carcinogens and does not contain the harmful chemicals that cigarettes do. Electronic cigarettes are notably preferred by many smokers since they reduce the risk of cancer, they require no open flame, thereby reducing the risk of burns and fires, they do not emit the odour of traditional cigarettes (aside from the light smell of the flavor additive, they are scentless), they do not cause staining of the fingers or teeth, and the fact that they are cheaper than cigarettes. In relation to smoking cessation, a 2010 survey of 3,587 participants have reported that the electronic cigarette has aided them in reducing cravings, coping with withdrawal and relapse. E-cigarettes that are refillable allows the user to control the level of nicotine that they are consuming thereby allowing them to effectively reduce their consumption levels in a therapeutic manner. However, as indicated by the British Medical Association since e-cigarettes are not regulated, and there is no peer reviewed evidence illustrating their efficiency in relation to cessation. It has been argued that they should not replace Nicotine Replacement Therapy and that while it is still a healthier alternative, e-cigarettes require regulation to ensure their quality and sales are geared towards adults. The Athens based Onassis Cardiac Surgery Center recently conducted a survey that monitored the heart activity of 20 young people who had smoked one cigarette vs. 22 young people after seven minutes of smoking an e-cigarette, the results showed the those who smoked the cigarette experienced significant cardiac disruptions. However, in another test conducted by the same researchers, e-cigarettes were found to cause significant airway resistance after 10 minutes of use for 8 participating non-smokers and 11 smokers all of whom had normal lung capacity. Participants who suffered from COPD or asthma showed no immediate lung effect. Since e-cigarettes are not regulated, they do not contain proper labelling, health warnings, safe disposal instructions and instructions for safe usage. This lack of regulation means that they are able to be sold to and purchased by anyone including high school students. The Centers for Disease Control and Prevention has revealed that in 2012 10% (over 1.78 million) of middle and high school students in the US have reported using e-cigarettes. Additionally the CDC has reported that almost 40% of poison center calls (over 200 calls per month) are related to e-cigarettes and that more than half of the cases involve children younger than 5 years of age. Experts at the World Health Organisation have also discovered that e-cigarettes contain toxins and carcinogens such as nicotine, formaldehyde, cadmium and nickel. They contend that e-cigarettes have not been scientifically demonstrated to reduce smoking habits and that in order for it to be considered a cessation aid, regulation and control is required. It is for these reasons that many countries such as Turkey, Jordan, Canada, Hong Kong, Panama, Israeli, Saudi Arabia, Brazil, Argentina, Venezuela and The Netherlands have all passed bills that prohibit the sale, importation and distribution of e-cigarettes citing that regulation and taxation is needed. Many other countries such as the Netherlands requires e-cigarette sellers to obtain a pharmaceutical license in order to sell the products. In Australia it is illegal to sell e-cigarettes which contain nicotine. Due to Australian legislation, shops do not supply e-liquids which contain nicotine. According to Australian Department of Health, Therapeutic Goods Administration (Schedule 2) nicotine can only be sold in pharmacies as electronic cigarettes and e-liquid containing nicotine confusingly is a schedule 7 poison. However, according to TGA, a smoker is permitted to import nicotine for your own personal use and you are permitted to receive by mail up to a 3 months supply. To get round the law, “electronic smokers” order electronic cigarettes and liquid refills over the internet from sales portals in Europe. As an example could be the E-ciggy.com shop that sells all kinds of electronic cigarettes to all Australian customers. In retrospect, the use of electronic cigarettes does pose potential risks in relation to health, addiction, underage consumption, increasing the number of smokers and issues relating to mishandling of the device and its liquids. In addition to this, longitudinal studies on the effects of e-cigarettes remain inconclusive as to the true extent of their dangers. However, one can easily argue that the use of cigarettes containing tobacco poses a much higher risk to the smoker as well as to those within the immediate area. If properly regulated, e-cigarettes can be used as a successful aid in reducing nicotine consumption and can potentially eliminate the use of tobacco products, thereby making them a healthier alternative.